This instructor-led course provides students with the necessary knowledge to develop Scorecards and Dashboards using PerformancePoint 2010 in their own work environment. The course covers design theory, different types of dashboards, planning, deployment and security. Each of the first class objects such as Indicators, KPIs, Filters, Data Sources, and interconnecting them into scorecards and combining scorecards into dashboards is covered in depth. 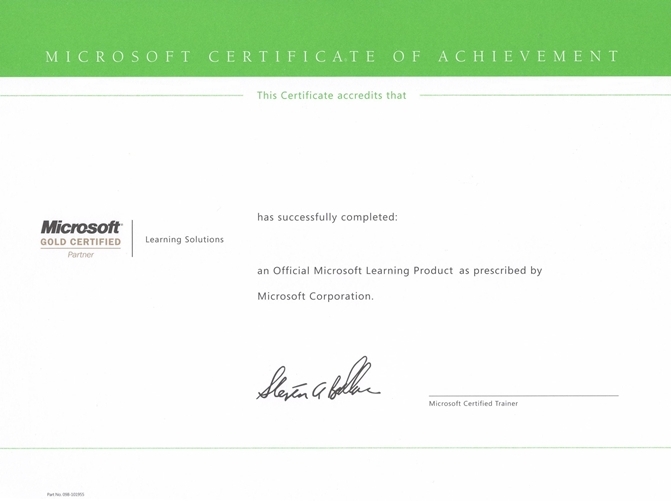 In addition peripheral knowledge that greatly enhances the design experience is provided including an overview of the Microsoft Business Intelligence stack, basic understanding of the hosting services for PerformancePoint 2010 which is SharePoint 2010, MDX queries and SQL Server Analysis Services. This course is intended for Power Users, Developers and IT Professionals that will be involved with the design, development and maintenance of actionable performance measurements as displayed in a scorecard and dashboard. Implement Time Intelligence features to query such as Year-To-Date, Last 6 Months etc.